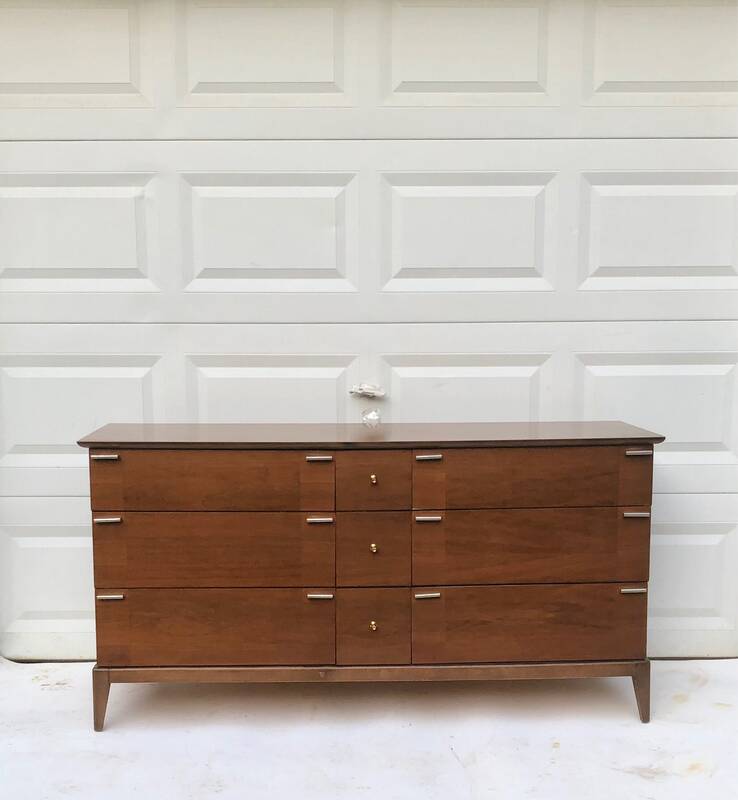 This stylish mid-century Modern Nine-Drawer dresser features unique walnut finish and stylish vintage drawer pulls. 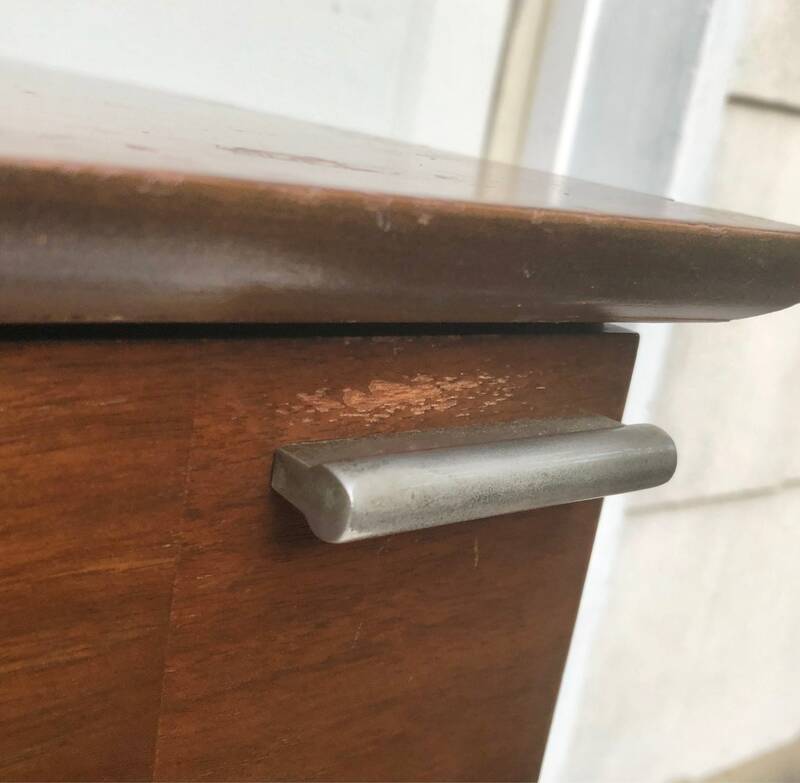 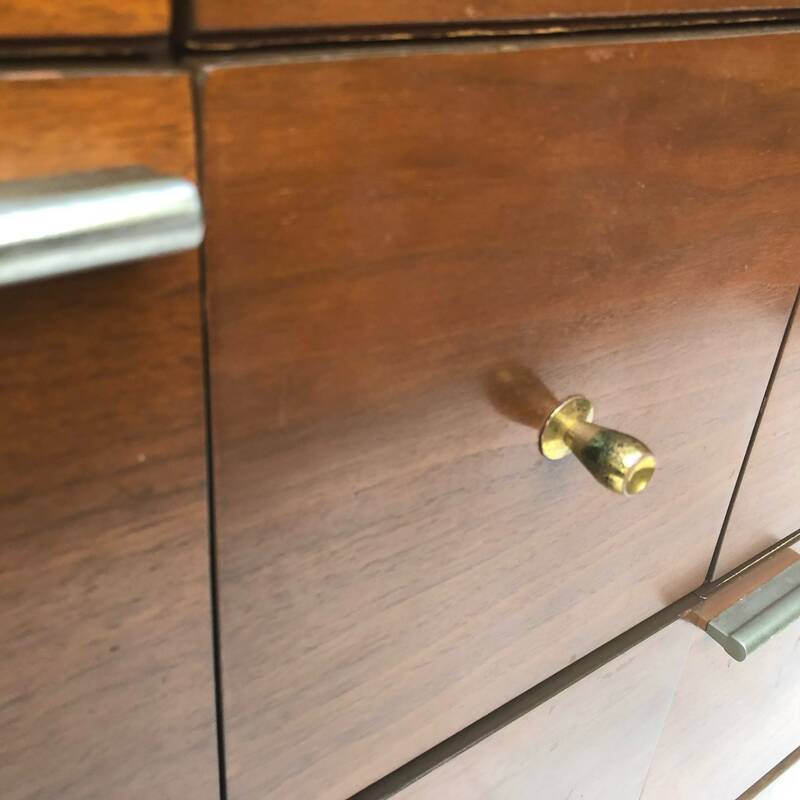 Quality dove tail drawers were designed by United furniture in the 1960s. 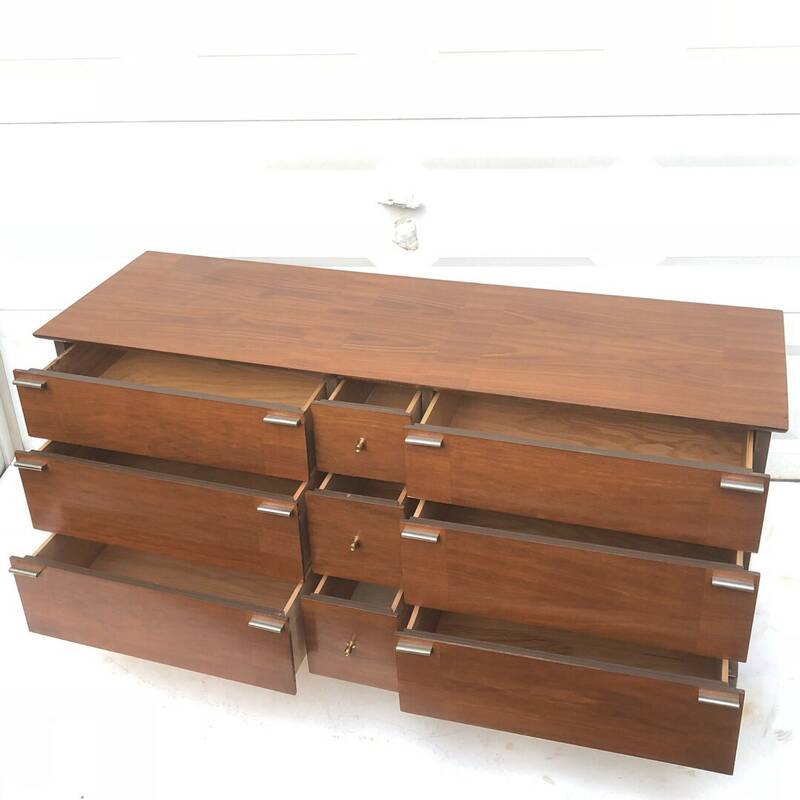 Matching mirror available, as well as highboy, night stands, and headboard. 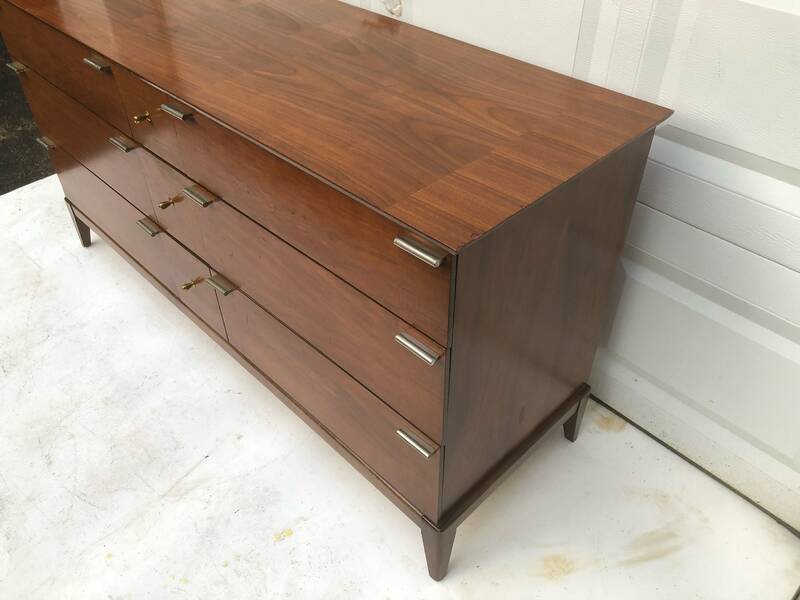 Condition: age appropriate wear, vintage finish worn in areas, some scuffs, finish wear, oxidation, veneer chips, interior marks.